In case you have not already heard or read about it, we are writing to let you know firsthand about the unfortunate and unprecedented events on the Yellowstone River.Last week we began to receive phone calls asking us about why there were dead whitefish showing up along the riverbanks on the Yellowstone here in Paradise Valley. A quick phone call to the MT FWP Region 3 Headquarters had biologists on their way. Teams conducted on-river surveys and sample collections from infected whitefish ensued along with simple fish counts.It has been stated by FWP to almost certainly be a parasitic disease that is the cause of the major die off in the whitefish. It has been reported that nearly all the fish sampled were infected with the kidney disease from the parasite. And while it has had a devastating effect on the mountain whitefish, the disease has been shown in past history to also have the ability to afflict other salmonid species. Read this to be Trout. This has not been the case on the Yellowstone to this point. However, the Yellowstone and its trout are one of THE most well known and iconic freestone rivers in the Western US. 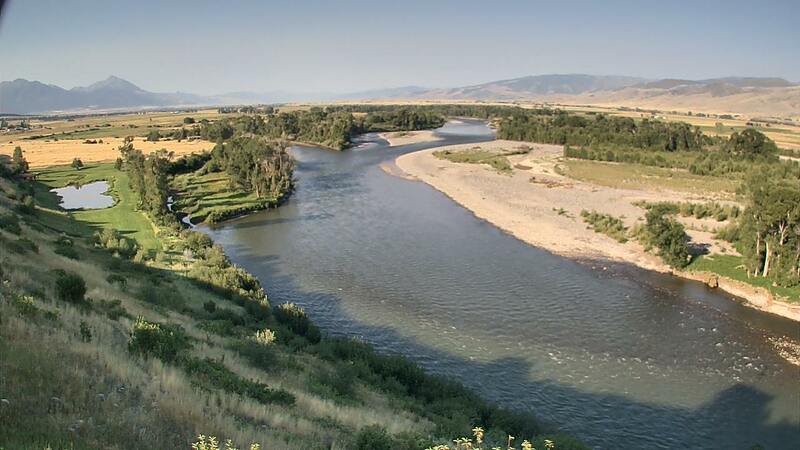 We are working hand in hand with FWP and it's representatives to follow this closure as well as the increasingly important steps to ensure that this and other potential water invasives do not spread. Yes, this situation is difficult and will have a long-lasting effect upon all area business, not just those like us that have guide services and retail fishing sales. We ask that guests that have guide trips set up with us, if you have not already heard from us, to please call or email so that we can discuss options. We do have options! Yellowstone Park, the Madison-Gallatin-Missouri-Bighorn rivers all come to mind as alternatives. And we have guides, knowledge, experience on all. The fly shop is and will continue to be open for business. Our regular hours will continue to be 7:30 to 5:30. Some days we may be there a little earlier. Some days we may stay a bit later. You can get the picture. We are there to help area anglers and visitors with all the gear and information to ensure that folks have a great time visiting our wonderful valley and surrounding area. We want to assure folks that we are not changing how we operate and that our open door (and phone) policy is the same as it has always been. All of us are more than happy to help you however we possibly can!Thank you. We look forward to seeing you again. And soon!